Blogging is the answer to yesterday's vacation slides. So sit back and take just a couple minutes to be my captive audience to a few vacation moments from last week. We visited family near St. George, Utah. 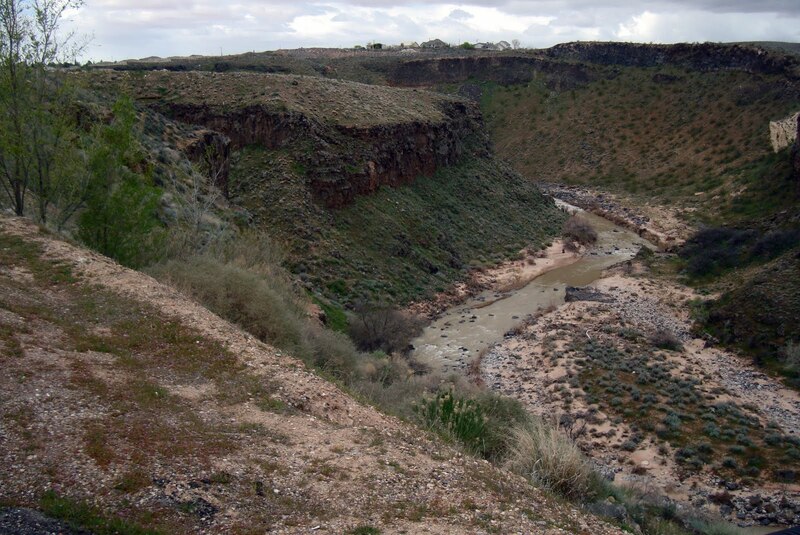 I'm an eastern city girl type but even I think this scene from the side of the road was impressive. We had the best pizza that I've tasted since moving to Utah. 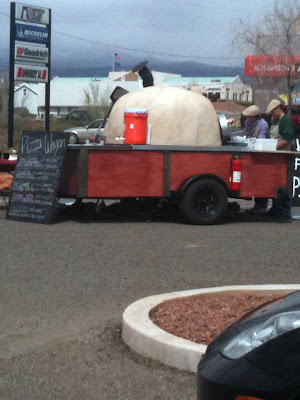 And go figure - it was out of a wood fired pizza stove sitting in a trailer in a cinema parking lot. If you are ever driving through Hurricane, Utah, look in the parking lots for this family selling pizzas. Just amazing pizza. You can see the gray sky. It rained some while we were there, but then I like rain. Here are 2 of my sisters hard at work. We did sew blocks for our picnic block exchange. 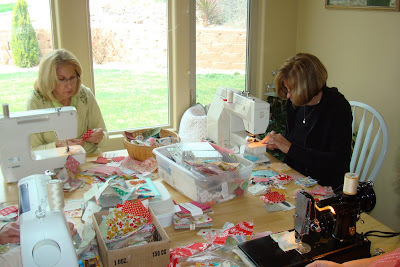 I brought a bag of scraps to use. It was so fun. This is my niece on the left. 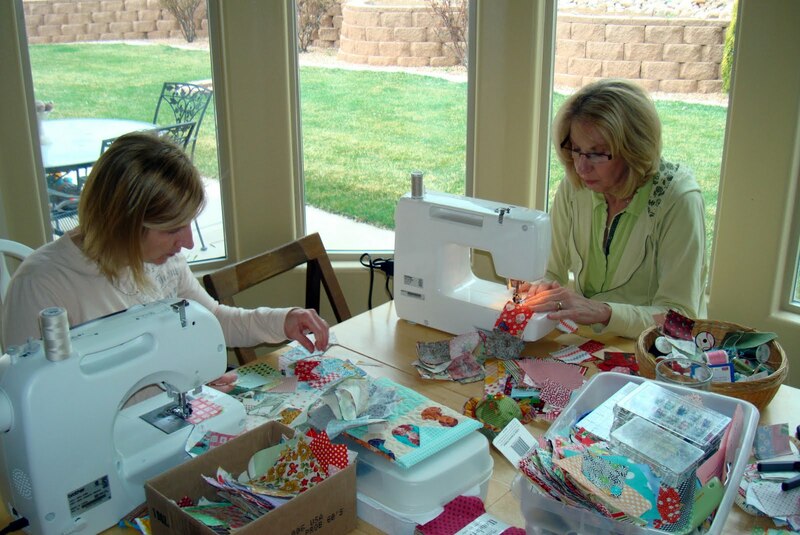 The four of us spent 2 days cutting and then sewing. I love taking my trusty feather weight machine with me. She packs and works. I must have clicked small on these photos but I won't reload. 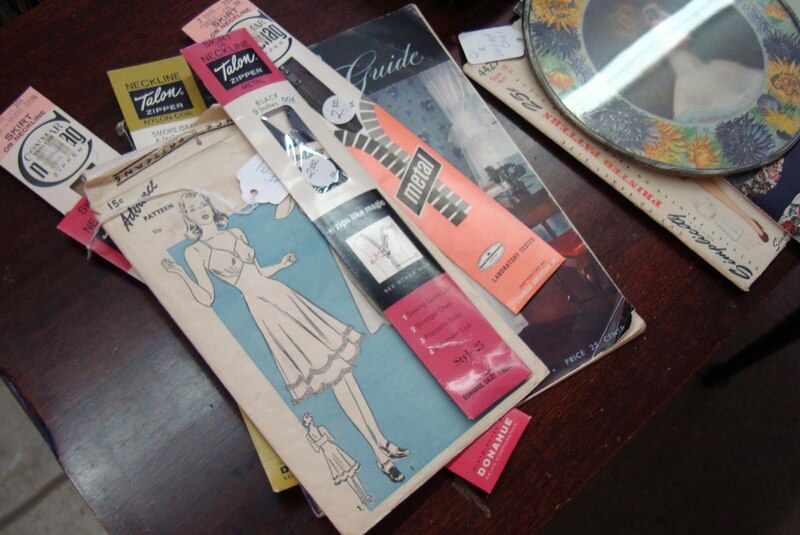 We went to several local antique stores. 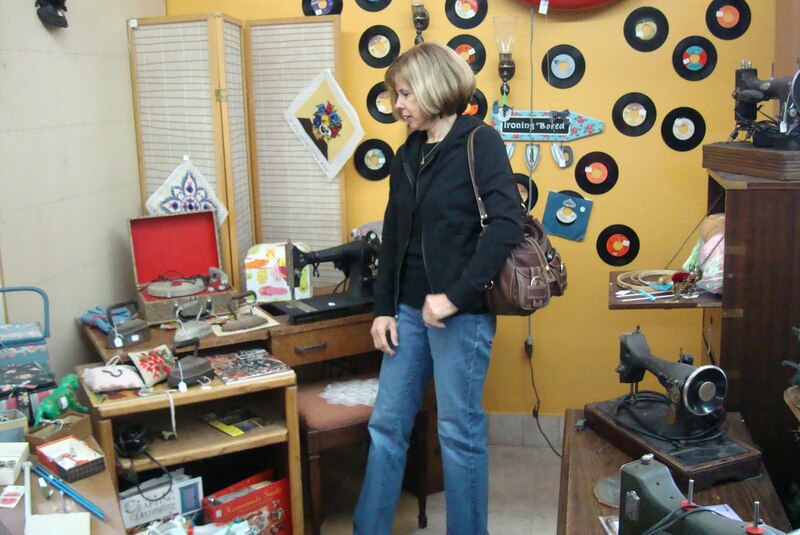 Here is my sister Michelle looking around the sewing machine corner. 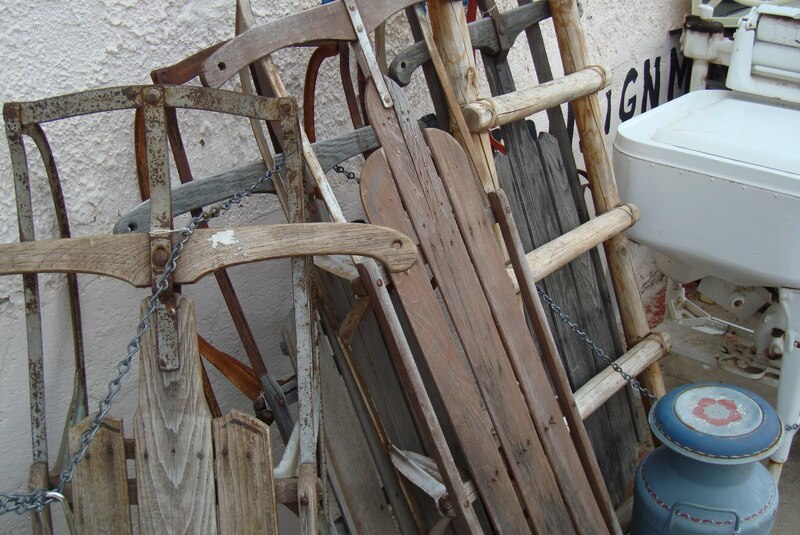 Sleds and ringer washing machines. Good memories of these. 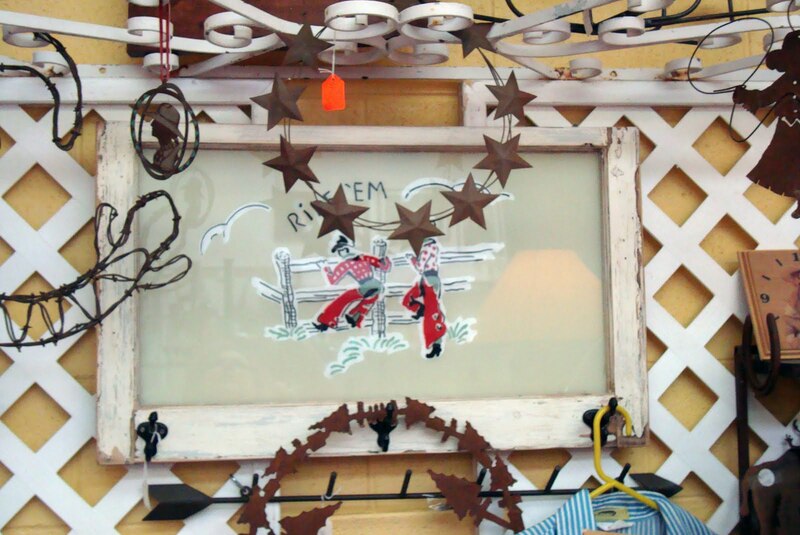 I really liked this western themed wall hanging. I don't have anything western in my house but it was clever. We really did see lots of machines for sale. 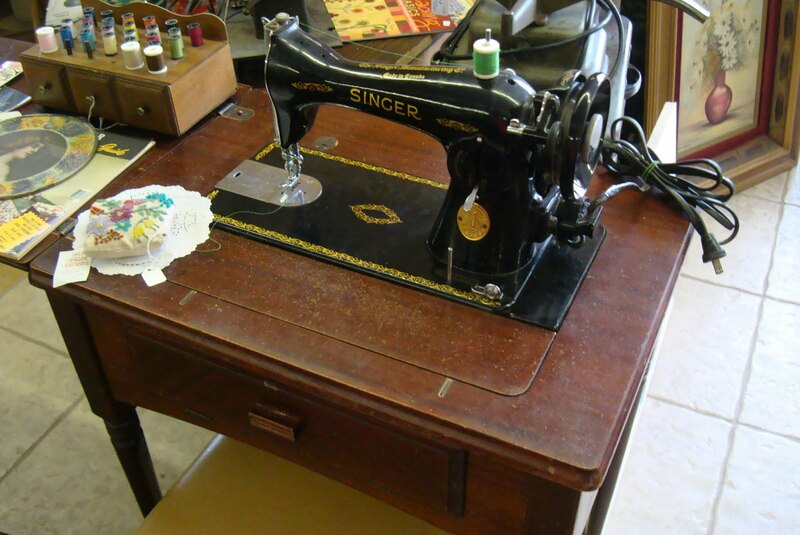 The local quilt store in Hurricane (Main Street Quilt Cottage) had several really nice refurbished feather weight machine's too. 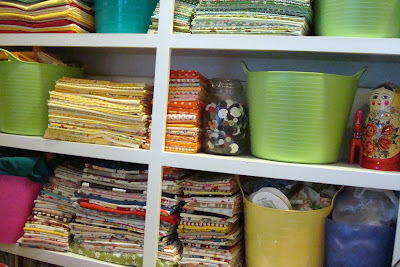 We did spend just a few minutes looking at fabric, too. 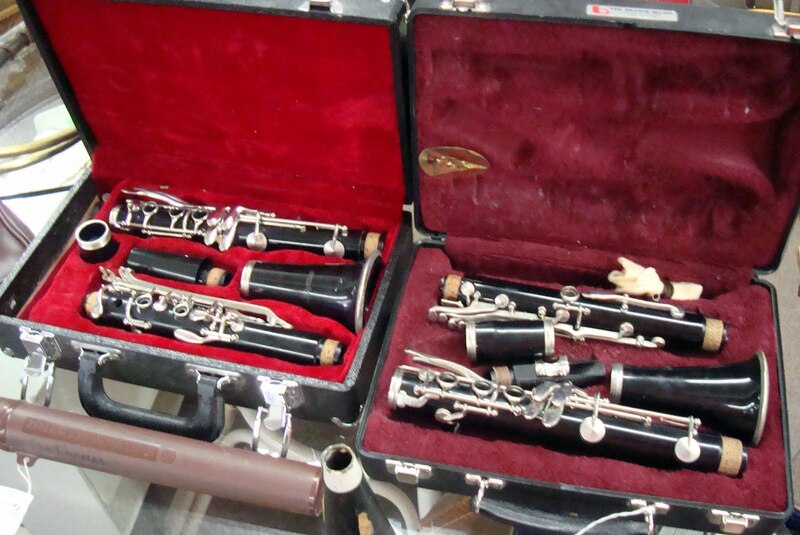 This looks just like my grade school and jr. high clarinet. Oh those were the days. Just FYI, I was awful and never practiced. 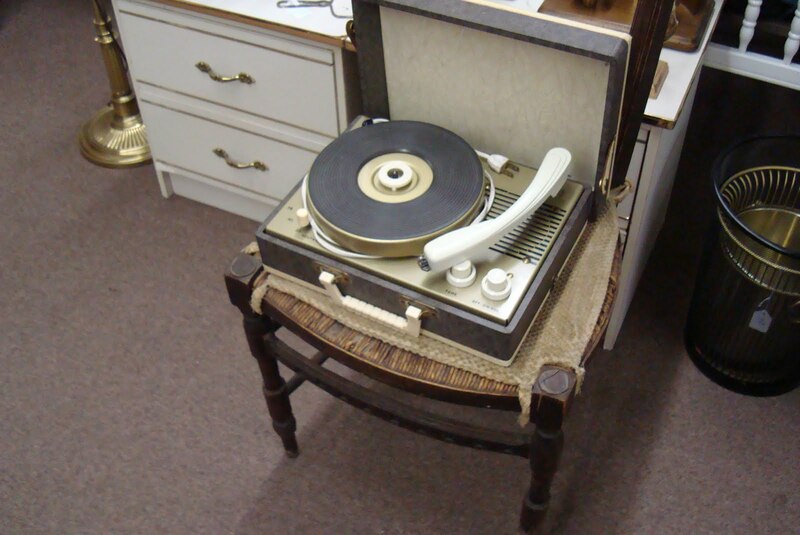 This looks exactly like my friend Sandra Stubblebine's record player we listened to Beatle records on in 1st and 2nd grade. 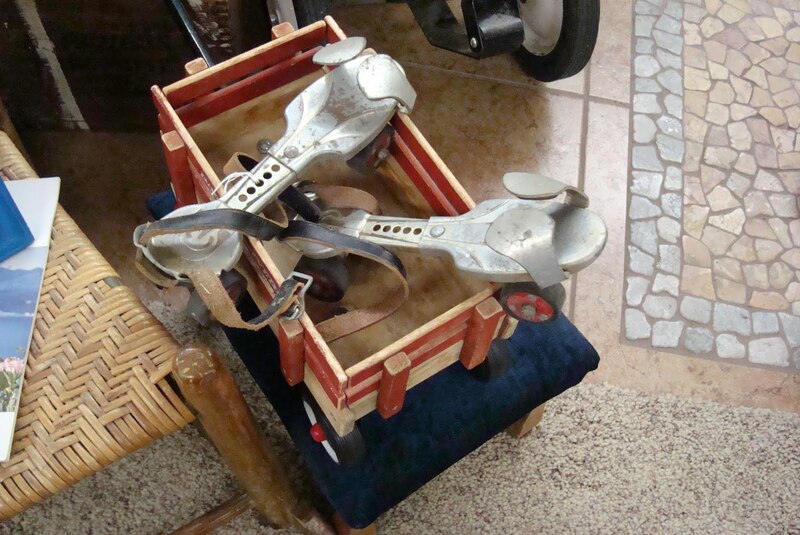 Metal skates - I sure wish I still had mine. All I have is a skate key. 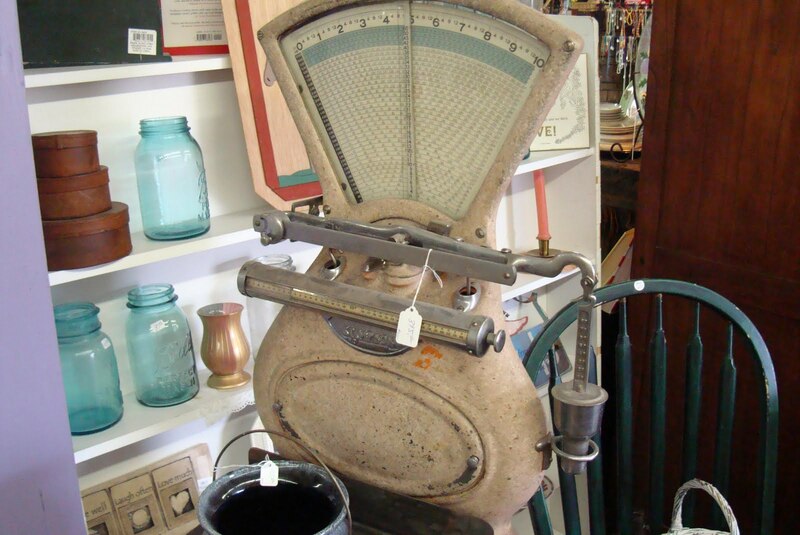 I really wanted to find a smaller vintage kitchen type scale but all they had was big ones. I did make a few small purchases. More on that another day. 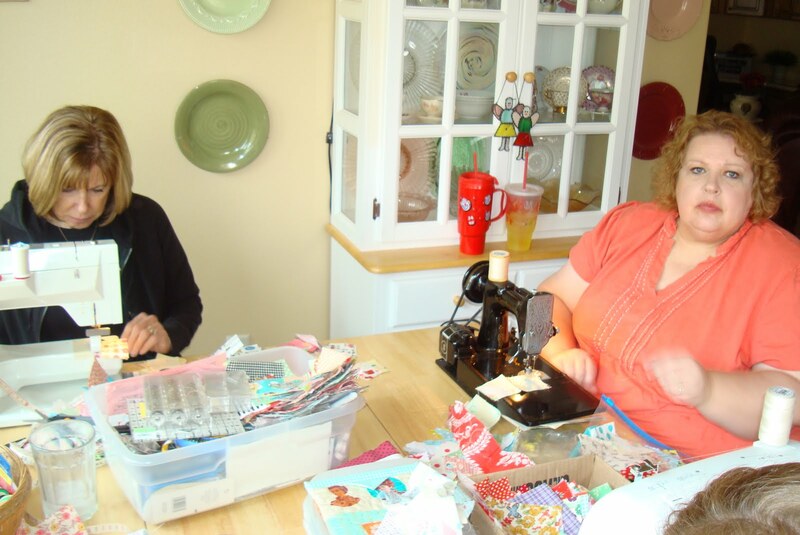 Sewing and shopping with my sisters and niece - fun days. I feel like I've lost a month and really I have. 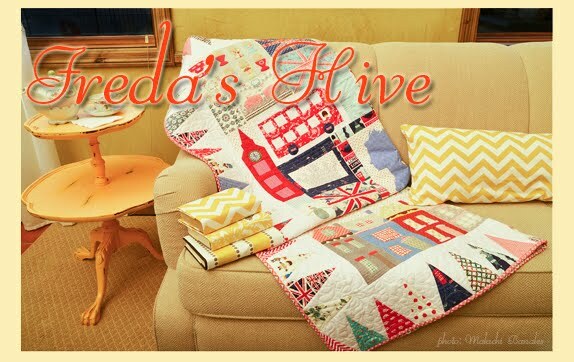 I've missed being creative and missed finding out what is going on in the world of quilting, blogging and creating. I've missed each of you, my friends. So I'm back, mostly. Mostly meaning I'm going to take it easy since I'm still working on feeling 100%. Again, thank you so much for your sweet notes of encouragement and get well wishes. Each one is like a little get well card. 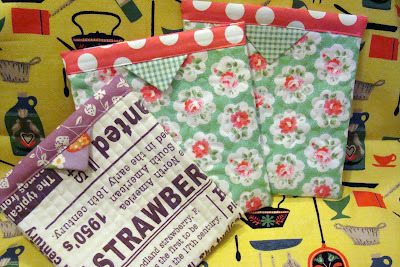 I thought today I'd show you these snap bags I made a bit ago. 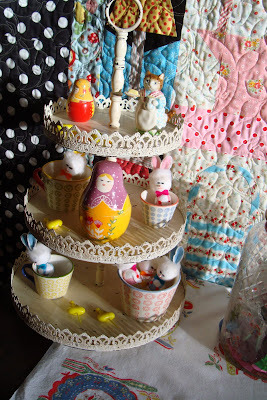 They were so much fun to make. And so ADDICTING! I made 10. I started out following the instructions and then went my own way with sizes. My method to make something new from instructions someone else drew up is to read, and reread the instructions and then think about it and sleep on it. That really works for me when I'm trying something new. I mostly used thicker weight fabric for my snap bags. I have a little collection of home dec or linen/cotton fabrics so this was a good opportunity to use those. These 3 are from some linen/cotton Japanese fabric and Cath Kidston fabric. 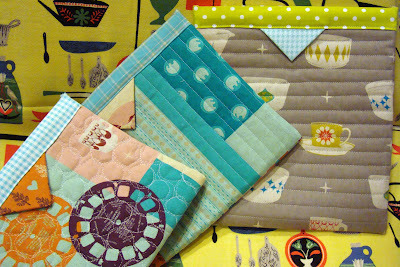 These are from Melody Miller's Ruby Star Rising fabric. The women remind me so much of Freda, my mom. 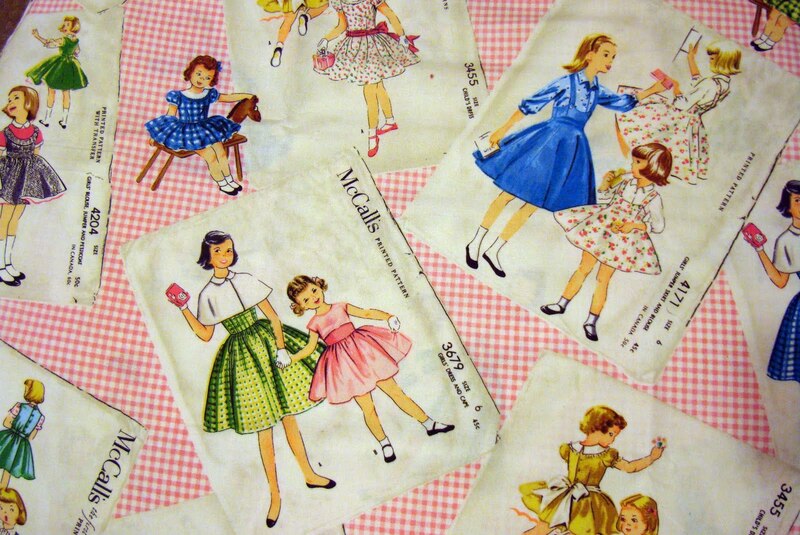 I'm pretty sure my mom had both of those dresses. 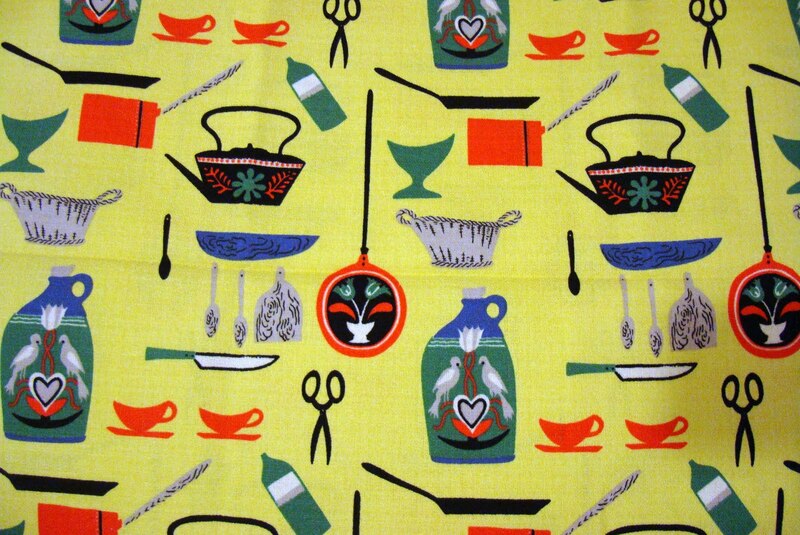 Since the designs in this fabric were all one-way designs. 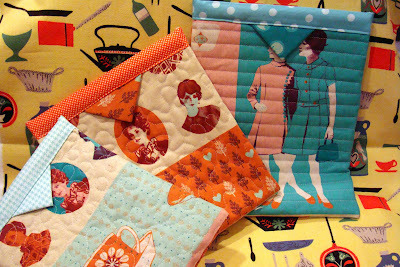 I did have to cut a front and back for the bags, slightly different than the pattern since it uses one single piece for both. 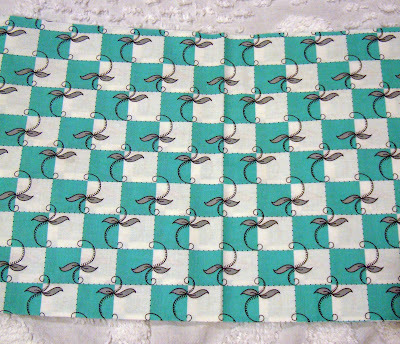 I really love the retro flavor of this fabric so I was excited to put it to use. 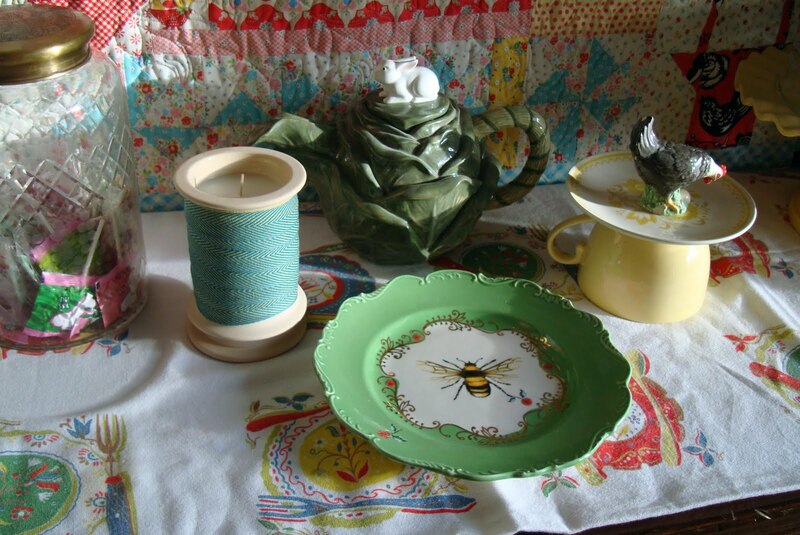 And you know I love teapots and teacups. I almost used an entire Harbor Freight metal tape measure for my 10 bags. It works so slick. And I loved how the little prairie points help you open the bags. I have just enough metal tape left over to make my daughter a bag for her brand new Ipad 2. So jealous!! Thank you everyone for your kind and thoughtful comments. I have the sweetest friends. I won't answer you each individually but know your get well wishes mean so much to me. I'm starting to feel better. I went from having influenza to bronchitis and totally lost my voice for a bit. I am starting to have good days with the bad. I've cut my schedule to the bone to try to get better and I haven't picked up a needle and thread for nearly 3 weeks now. I have litterally done nothing and have not even read a book or looked at a blog. 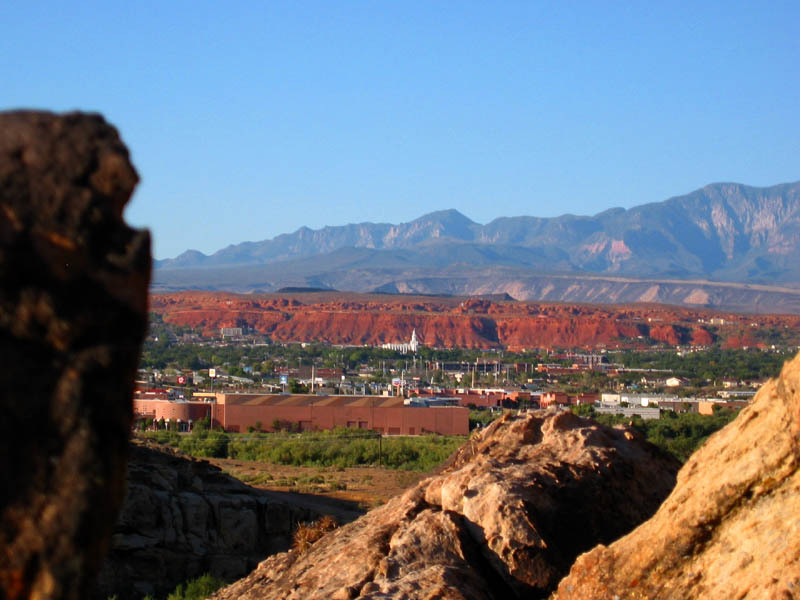 I'm heading south to St. George to stay with family and try to finish getting better. I hope to be back strong in a couple weeks. 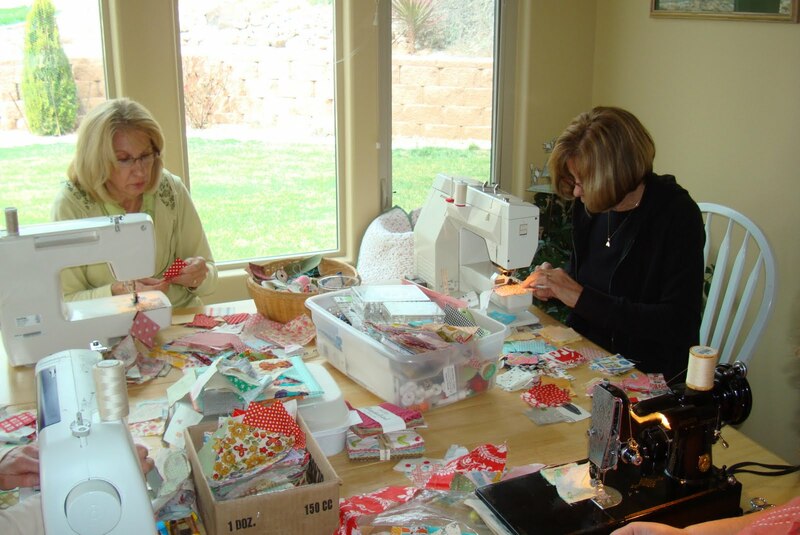 I'm sure I'll be back to sewing in no time. Thanks for being my readers and friends. I'm hit with influenza. Be back soon. 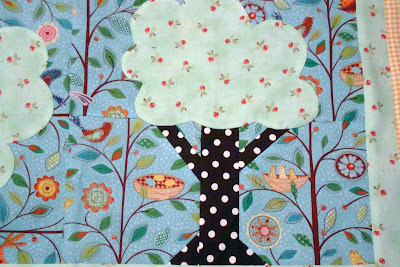 I've completed block #2 for my 2011 Alpine Quilt Group project quilt - the Game Quilt. 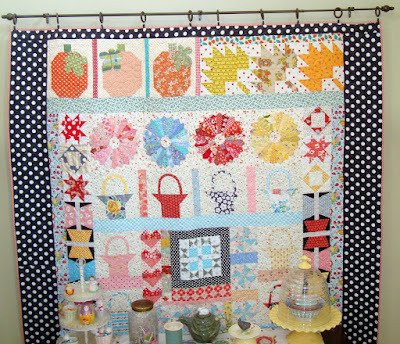 You can see more and read more about the quilt project on Syd's Alpine Quilt Retreat Blog here. This is my Hi-Ho Cherry-O block, which was fun and easy to put together. Syd's had great photos and instructions for making the trees. 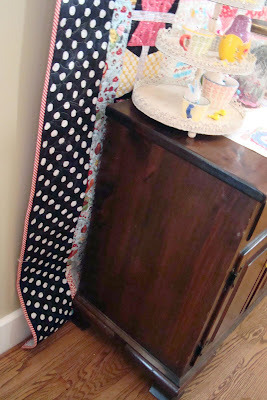 I put little stop corners using some Sandy Klop fabric. 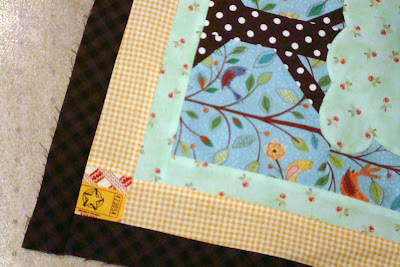 I opted to use cherry fabric instead of wool for the leaves/cherries. 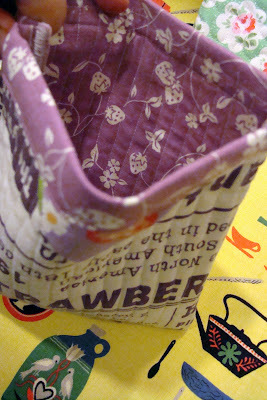 I'm going to use the pieces and cups from inside the Cherry-O game box and make a little bag for each game to house the pieces. 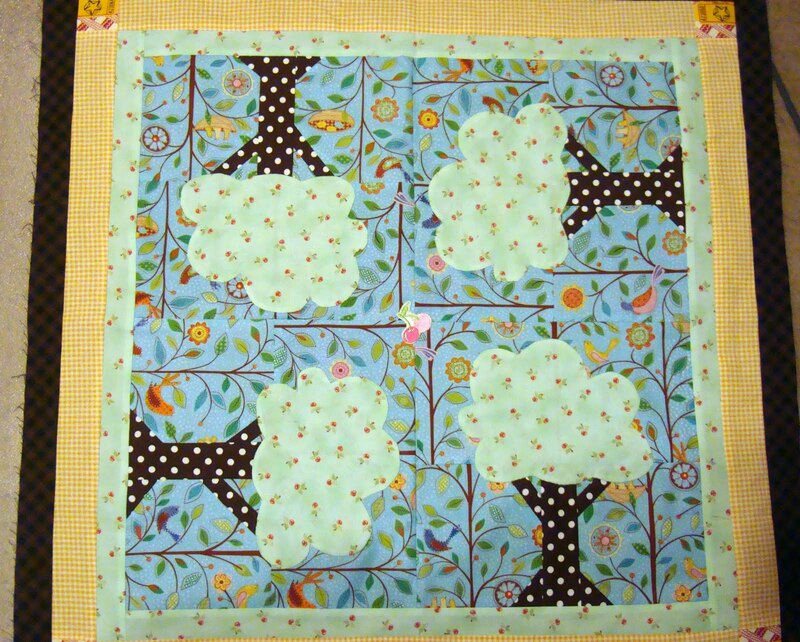 Isn't this fabric cute with nests? 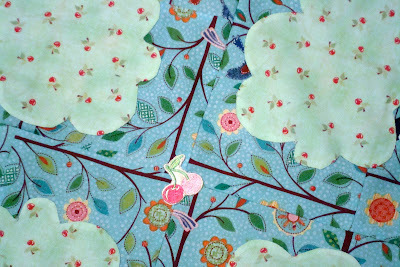 I had a little cherry decal that I sewed into the very center of the quilt. I wish the cherries were bigger but I think they add a cute touch. I hate thinking about cost. Don't you? Unfortunately it is a part of life. 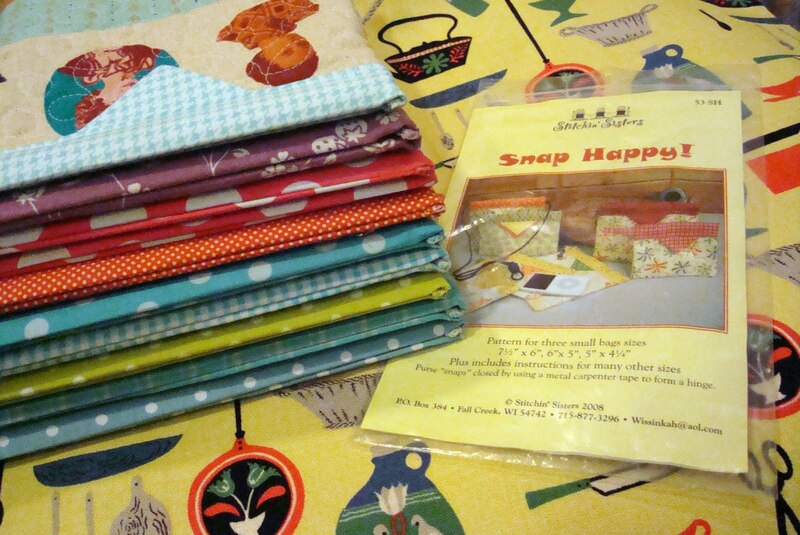 I don't want to ruin your Fabric Friday but.... something is happening. The rise of cotton prices, which means the rise in quilt fabric cost. Here is a chart for the value/price of cotton in the past couple years. Wow! Look at that rise. Don't we wish that was our bank accounts and investments, yep. Yesterday I was dropping off a quilt and I overheard a lady that works at Elaine's Quilt Shop in the Salt Lake City area saying that the retail price of quilt fabric will be over $11.00/yard as new fabric comes out this year. Can you believe that? We will be all using more of our stash. Aren't we so incredibly glad we have it (ha). But really we will have to all be aware of the rising prices and figure out how to cope. So now that I've been Debbie Downer, on to pretty beautiful fabrics. 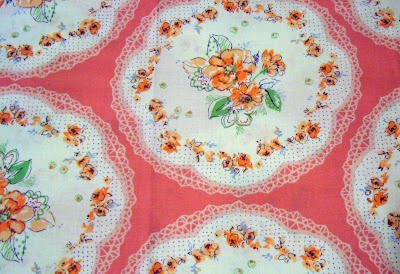 I love vintage and I love fabric. 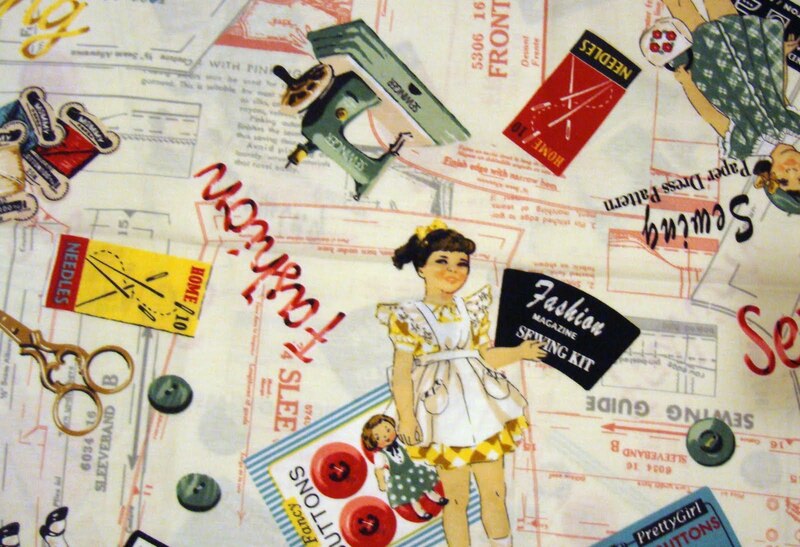 So what can be better than this novelty vintage patterns fabric. 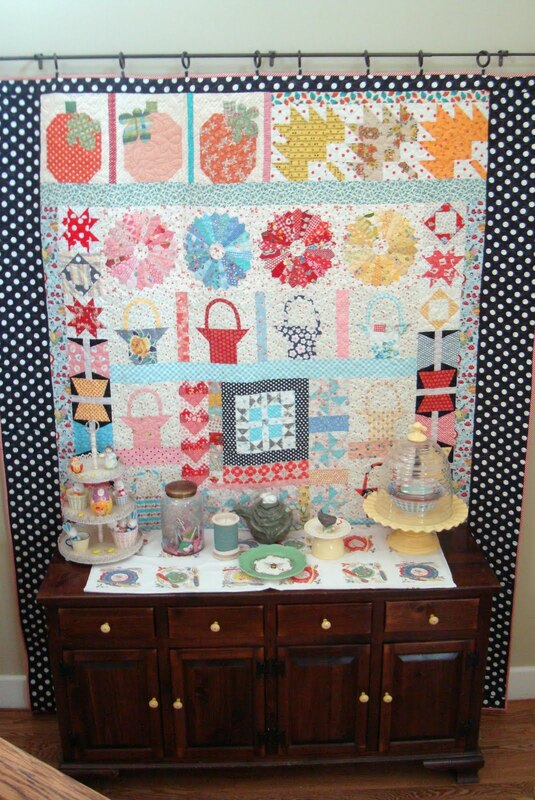 Those little girls mixed with buttons and fabric/notions are so cute. They speak of happy times and cheaper prices. I love sewing notions, love vintage and love fabric - this piece has it all. You know I never had a store bought dress until I was in college. 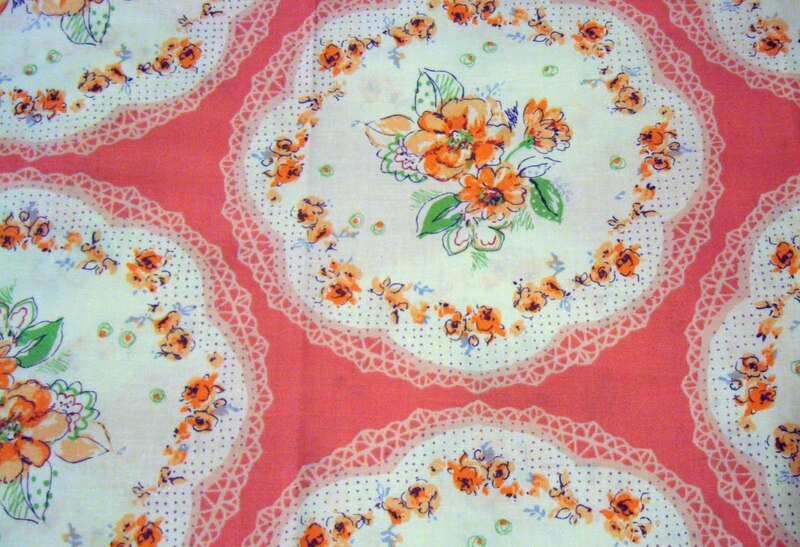 This fabric is my childhood. 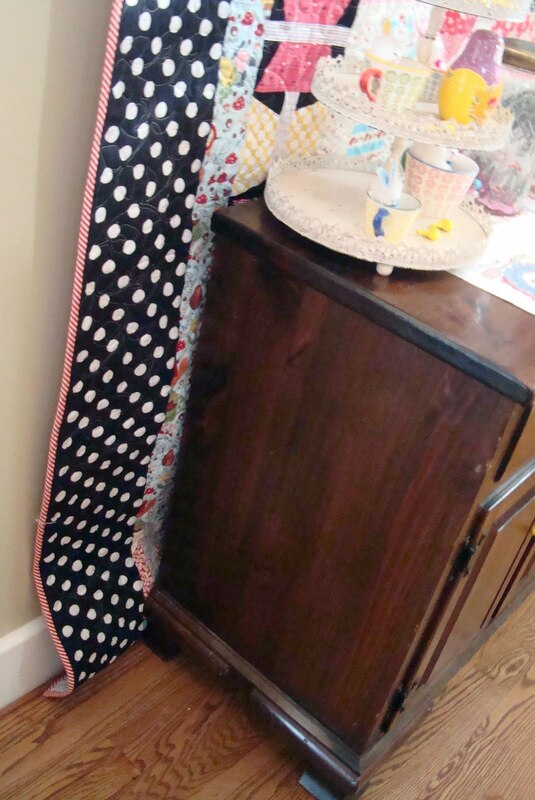 This piece is a bark cloth repo of a vintage piece. I had a little bit of this in vintage form that I have used and fussy cut so when I saw the reproduction I needed a bit for my kitchen fabric collection. 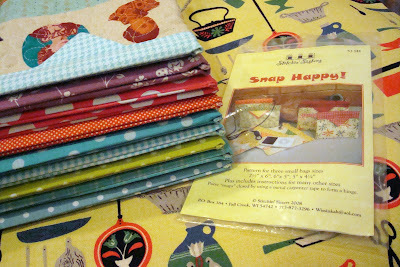 One way I figure on coping with rising fabric prices is to reduce the size of fabric I purchase. 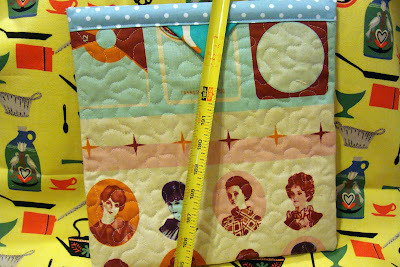 Fat quarters are my friends. However, with huge scale prints like this it doesn't really work since the design just gets cut off. 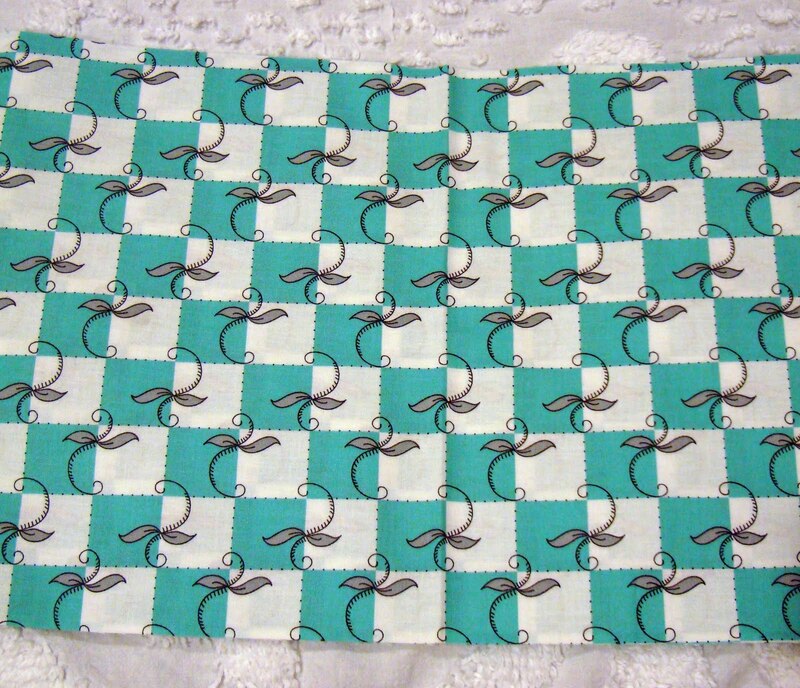 But with smaller scale like this one above, I can get away with fat quarters when I absolutely have to have a specific print. Have a good weekend. 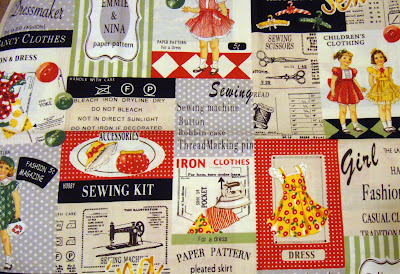 I have so much to do outside my sewing room but I still hope to get in a bit of stitching. 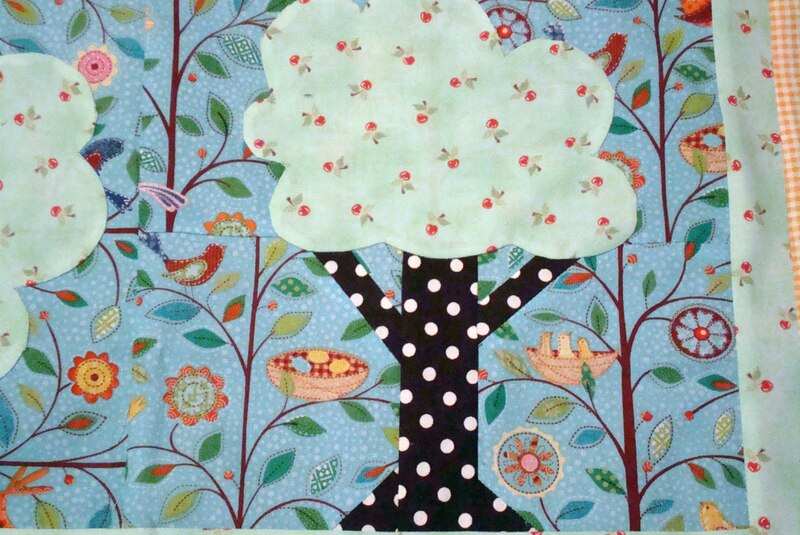 With March here I'm feeling changes in the sun that peeks into my windows. The days are longer (thank heaven) and now if it snows I know that it won't hang around for long because snow melts quickly in the spring. 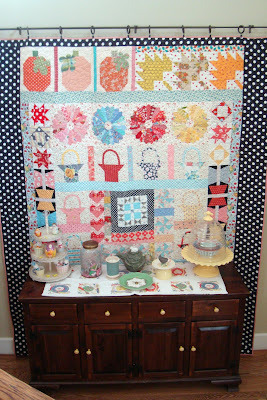 So in honor of the hope of spring I changed out my quilt in my entryway and moved my little treasures around. I really love this quilt. It makes me so happy. 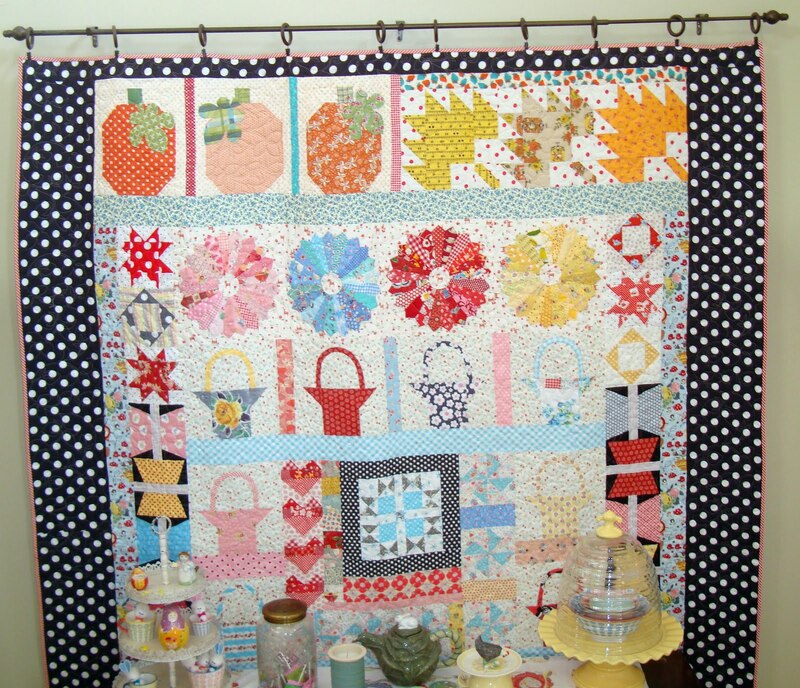 I don't like that part of it is covered up by my side board but I am glad that some of the springiest parts of the quilt are shown on the top part of the quilt. Remember this is a long quilt. It just pools slightly on the floor. I can live with that. 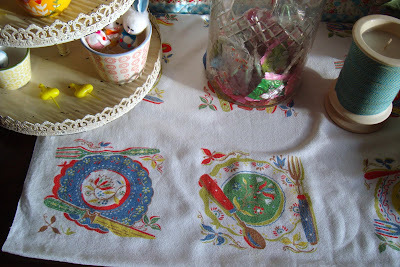 I like to put tablecloths on my side board and this is a fun vintage cloth showing place settings. 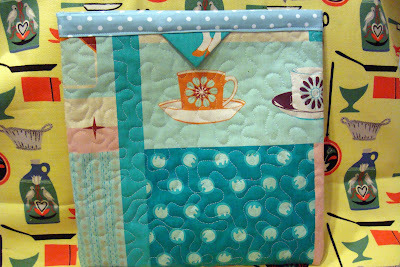 It is very whimsical. I love the plates. I thought spring for putting out treasures. The chicken and bunny are very Easter/spring and my bees will be out of the hive on nice days hunting around the yard. I have some little vintage Easter bunnies and chicks that were used for decorating flowers at a florist many years ago. I would like to make them into an Easter wreath but I need to widen my collection first. This just makes me smile when I walk down the front stairway and through the entryway. 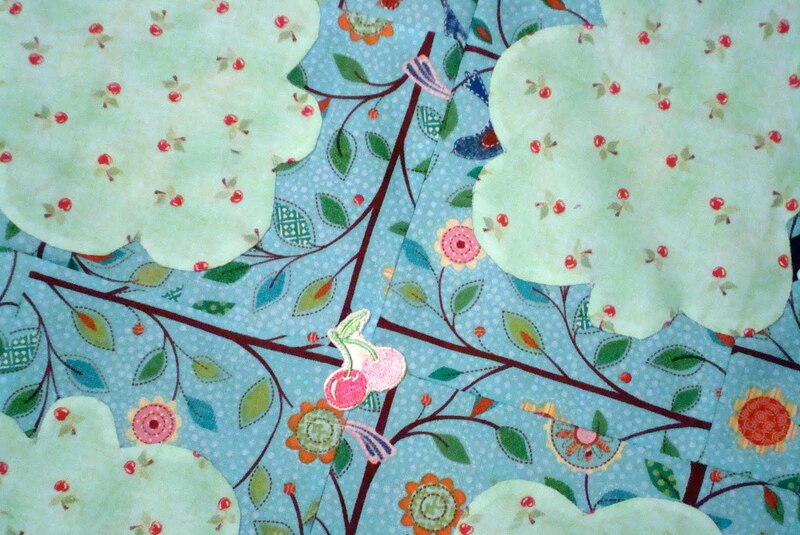 The colors are full of the hope of spring.